Firstly, apologies for the iPhone pics of this - my actual camera battery died and I was dying to get this post up! 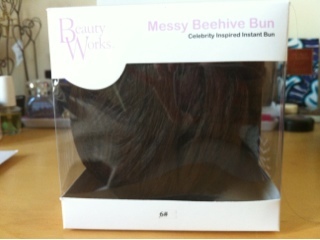 I was sent this amazing hairpiece a couple of months back by Beauty Works to review and because of my former dip dye, multi coloured hair I was unable to match it with my hair until recently when I went dark all over! 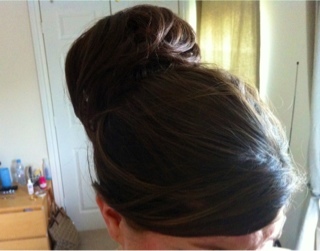 Now I am sure I am not alone here when I say that I see these amazing sock buns and people rocking artfully coiffed creations using bun rings but I just can't do it? I feel like a beauty blogger failure by admitting this but I just have not mastered the art, I don't know if my hair is just not suited to it or I am doing something wrong. 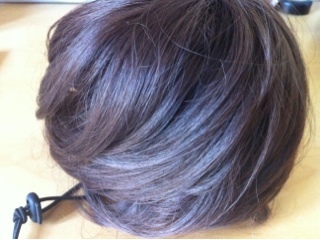 So imagine my joy when this arrived in my post box and I too could partake in some bun action. 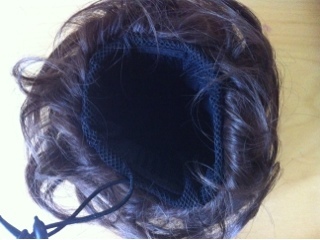 This is the EASIEST hair piece to put in and feels really secure due to the 2 different fastening methods it comes with. I think now is the perfect time to post about the Messy Beehive Bun as with it being wedding and holiday season, you might be looking for a way to guarantee nice hair for an event. As you all know I am going to Marbs in 4 WEEKS.. and I will definitely be bringing this along as an easy, frizz free hair option that will look nice but take very little time to do. 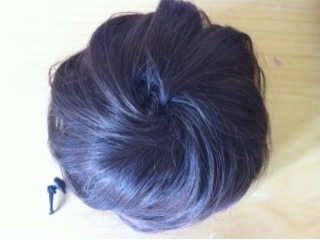 You simply put your own hair into a bun and then pop this over the top, insert the slides underneath your hair bobble to secure it underneath and then tighten the drawstring. 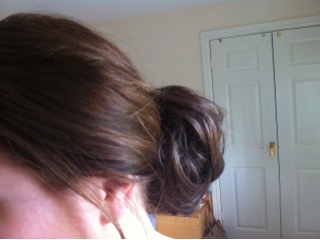 It takes 2 minutes to put in and looks like you have spent hours on creating the perfect bun. The hairpieces cost £30* which I can appreciate sound expensive, but I think if you ever pay for blow dries/hair up for a special occasion then let's face it you probably spend not far off that for one time.